The 2011 growing season turned out to be, on average, one of the cooler seasons in recent history. However, with careful vineyard management to ensure low yield from our vineyards, the grapes reached high sugar levels, perfect acidity and low pH.The long hang time (i.e. late harvest date) resulted in optimal phenolic ripening of the grapes, which contributes vital characteristics to the color, texture and flavour of wine. 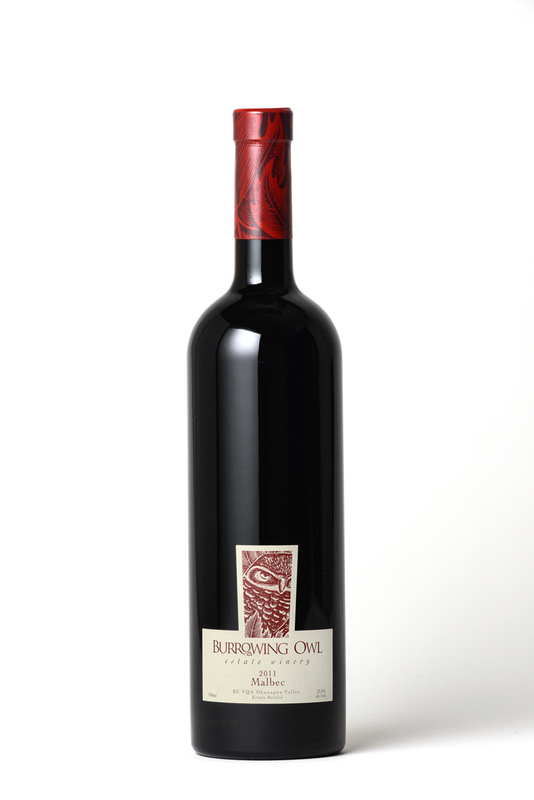 At Burrowing Owl, we are really excited about this vintage and are expecting some unbelievable wines. 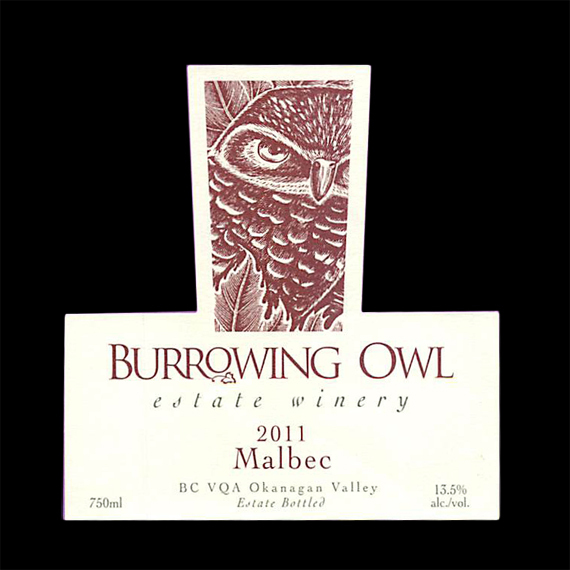 The grapes for the 2011 Malbec were hand harvested in early October 2011, from Burrowing Owl's "Eva"Vineyard in Osoyoos.This site —which is situated next to Osoyoos Lake on the North East side, and is a hot, frost free site - is well suited to the Malbec varietal. The fruit was hand sorted, de-stemmed and slightly crushed into stainless steel tanks for fermentation.The fruit was left at low temperature for about 5 days, warmed and then left to start fermentation on its own. At the end of ferment the wines were left on the skins for a period of time. After pressing, the wine was transferred into barrels for Malolactic fermentation (MLF). The wine was racked after MLF and then aged in barrels for 20 months.